Was it a candle holder? No, it was too big for a tea light, too small for other typical candle sizes. Was it a spoon rest of some kind? No, it was too small to hold cooking utensils and it's rim was too high to be used for tea spoons. I couldn't figure it out, but it was interesting to me. So I kept it, cleaning it, then putting it in the kitchen cabinet. That's when I thought of this do-dad! It occurred to me that it is the perfect design for tasting broths, etc. So I tried it as a tasting spoon. I scooped up some broth and gave it a look and then a taste! It was the perfect shape for dipping, swirling, and then drinking! Of course, I am not really sure this is actually what it is for, because I haven't seen a tasting spoon in this shape. 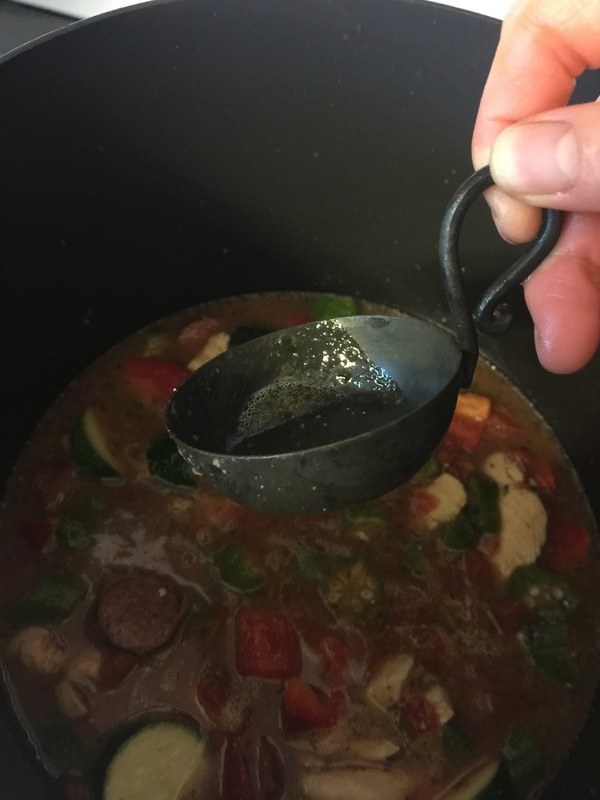 Most look more like a spoon or ladle, but this do-dad works great as a taster, so I think that's what I will be using it for!